Spike’s Tactical designs and manufactures a large amount of lower receivers from the outrageous designs to the simplified. The Spike’s Tactical Punisher Stripped Lower is a special series lower receiver featuring the Punisher logo prominently on the left side of the magwell. It is forged from 7075-T6 aluminum in the standard Mil-Spec pattern to ensure a tight fit for all standard lower receivers. It is hard coat anodized to provide wear resistant protection and includes bullet pictograms for the selector markings. Weighing in at only 8.6 ounces, this stripped lower receiver will work perfectly for your next build. Whether building a new gun from the ground up, or saving receivers for a rainy day, you can’t go wrong with Spike’s Tactical. 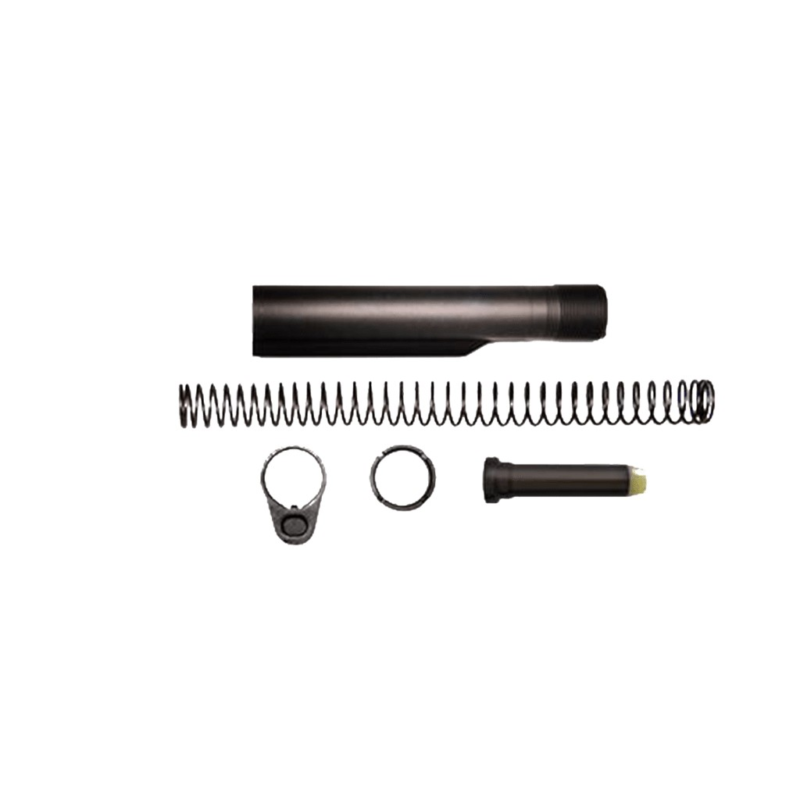 In addition, this kit includes a lower parts kit and buffer tube assembly. AR Lower features Punisher logo with bullet pictogram safety selector markings.